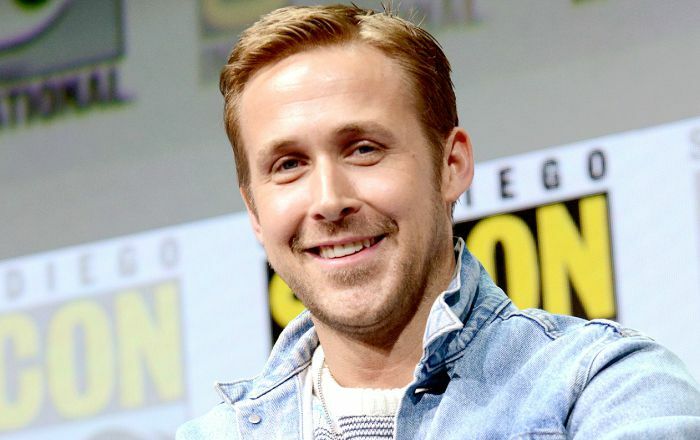 Ryan Gosling is a Canadian actor, musician, director and writer who has been cast in several highly successful box office hits like The Notebook, Half Nelson, Lars and the Real Girl, The Big short, to name a few. He received two Academy Awards nominations for his amazing performance in the films Half Nelson and the musical La La Land. Gosling is the founding member of the indie rock band Dead Man’s Bones, which released their self-titled debut album in 2009. Ryan Gosling was born on November 12, 1980 in London, Ontario, Canada. His ancestry is French-Canadian, along with some English, Scottish, and Irish. Gosling received education from different schools. He attended Gladstone Public School, Cornwall Collegiate and Vocational School in Cornwall, Ontario and Lester B. Pearson High School in Burlington, Ontario. He dropped out of high school at the age of 17 to focus on his acting career. Ryan Gosling began dating his The Place Beyond the Pines co-star Eva Mendes in September 2011. They both have two daughters, Esmeralda Amada Gosling (born September 12, 2014) and Amada Lee Gosling (born April 29, 2016). Gosling has dated several stars including actress Sandra Bullock from 2003 to 2003, Rachel McAdams from 2005 until 2008 and actress Blake Lively in 2010. Ryan Gosling made his acting debut in 1997 in the film “Frankenstein and Me” as Kenny. Ryan had his first starring role in the American variety television show, Mickey Mouse Club from 1993 to 1995 as himself. He is best known for his roles in films like Goosebumps (1996), The Notebook (2004), Half Nelson (2006), Lars and the Real Girl (2007), Crazy, Stupid, Love (2011), The Ides of March (2011), The Big Short (2015) and the musical La La Land (2016). There are no information available about his brand endorsements. Ryan has a net worth of $60 million dollars. He lives in the popular Los Angeles neighborhood of Silver Lake. His parents divorced at the age of 13 years old, and he and his older sister Mandi was raised by his mother. In 2004 Ryan was named one among People Magazine’s “50 Hottest Bachelors”. He was named the 2004 Sho West Male Star of Tomorrow. He was ranked #23 in Entertainment Weekly’s list of “30 Under 30” in 2008. Ryan has a dog named George. He is a co-owner of Tagine, a Moroccan restaurant in Beverly Hills, California. Gosling is a supporter of PETA, Invisible Children, and the Enough Project. He won four Teen Choice Awards in 2005 for his role in ‘The Notebook’, including Choice Movie Breakout Performance – Male.